stasialikesbooks: Book review: Love, Nina: Despatches from Family Life by Nina Stibbe. 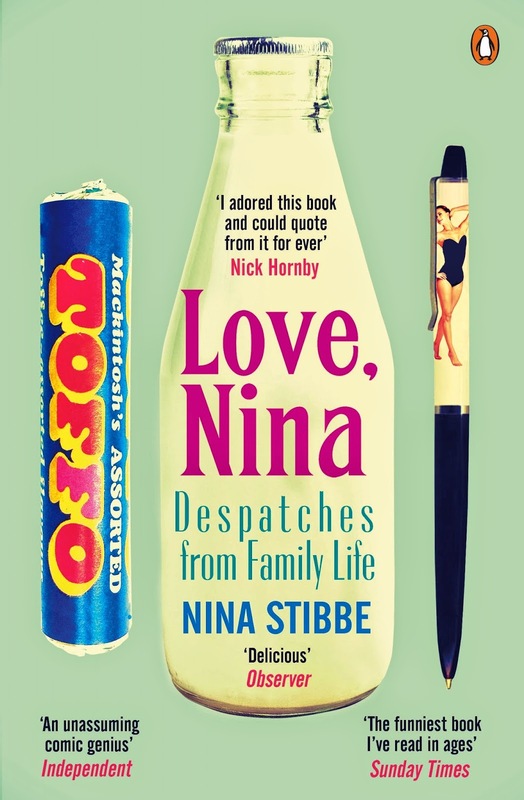 Book review: Love, Nina: Despatches from Family Life by Nina Stibbe. In 1982 Nina Stibbe, a twenty-year-old from Leicester, moved to London to work as a nanny for a very particular family. It was a perfect match: Nina had no idea how to cook, look after children, or who the weirdos who called round were. And the family, busy discussing how to swear in German or the merits (or otherwise) of turkey mince, were delighted by her lack of skills. Love, Nina is the collection of letters she wrote home gloriously describing her 'domestic' life, the unpredictable houseguests and the cat everyone loved to hate. I want to read more non-fiction this year and after everything I'd read about Love, Nina I knew it would be the perfect book to start with. And I was right. Nina Stibbe's letters from her time as a nanny are full of amusing stories about her life as part of the literary-minded household where she cared for two wildly funny young boys. The boys are responsible for most of my favourite stories and conversations, closely followed by the playwright Alan Bennet, who features rather frequently as he lived in the same street and used to pop round for tea most nights. I've read online that Bennet is not too pleased with the way he's remembered in Stibbe's book but honestly, I think there are far worse ways to be remembered. There is a layer of fondness over every memory mentioned in the book and the people even more so. Stibbe's letters are so funny and endearing it almost makes me want to become a nanny myself. But only if the family were as funny and as lenient with the cleaning as the one Stibbe worked for. It's clear from these letters that Stibbe loved her job and the people she worked for, and that they loved her too. I honestly don't think there's anything I can say about this book that hasn't already been said dozens of times, but it's an extremely enjoyable read and even if it doesn't make you laugh out loud it's sure to make you smile.